Austin is an art-loving town, but you don’t have to go to the Blanton or to one of Austin’s many local galleries to see beautiful artwork. Thanks to the City of Austin’s Art in Public Places program, beautiful works of art are all around you, if you know how to find them. 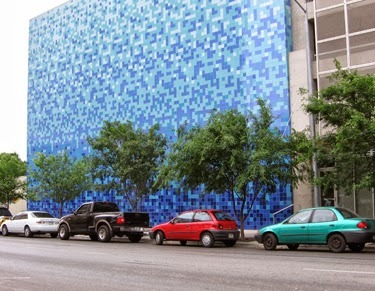 Art in Public Places (AIPP) is a program that was established in 1985 that collaborates with local and nationally known artists to create cultural landmarks that include the history and values of our community, and have become cornerstones of Austin’s identity. 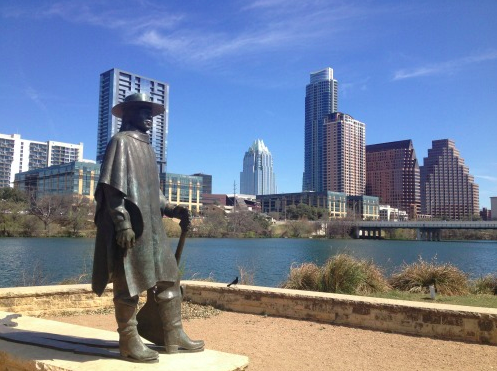 Austin has made a commitment to include works of art in local construction projects, with 2% of eligible capital improvement project budgets going towards the commission or purchase of art for that site. 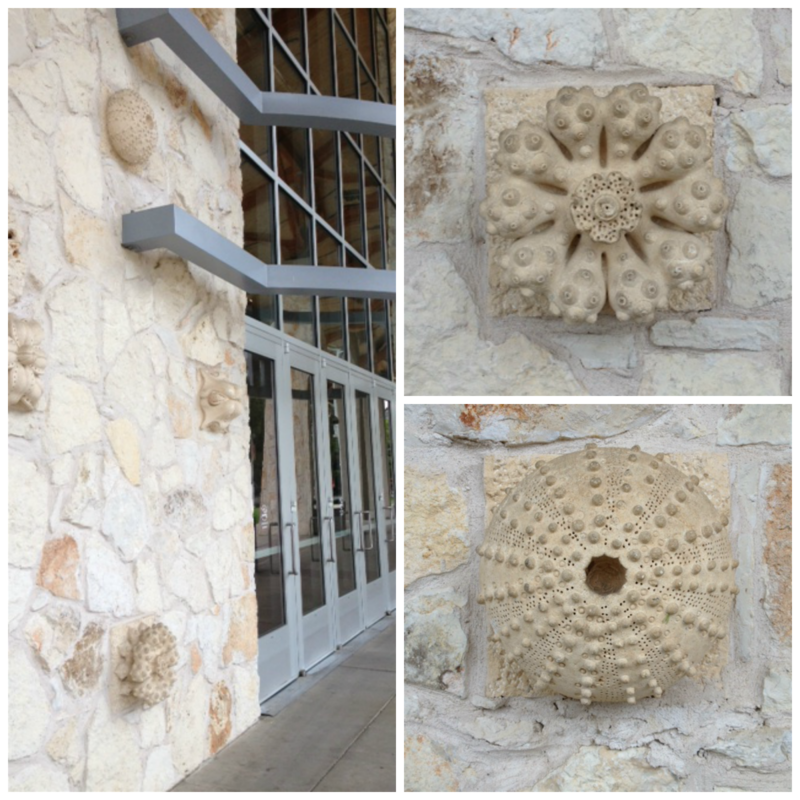 AIPP pieces and architectural detailings can be found in public places such as the airport, the convention center, police and EMS stations, parks, and even on the streets of Austin. Finding some of these pieces around town is like a scavenger hunt of hidden gems. For example, I had no idea that this piece comprised of bent pine, Souls of the Trees, even existed at the Spicewood Springs Branch of the Austin Public Library, and I was there about once a week over the summer. In fact, most branches of the Austin Public Library hold an AIPP piece somewhere in the building. Here are a few locations around town where you can find AIPP pieces. For the complete list, browse the Art in Public Places collection. Past temporary works are included, so make sure to look for the words “temporary installation” and the installation dates. I’m telling you this from experience. Zilker Botalical Gardens main entry gate, Lars A. Stanley and Louis Herrera – Painted, forged mild steel, Zilker Botanical Gardens main entrance. Green Austin Series, Jimmy Jalapeeno – 7 oil on canvas paintings, located at the security check point. Hill of the Medicine Man, Thomas Evans – 9 oil on canvas panels, east ticket lobby. Leaf, Pod & Samara, John Christensen – Cast concrete in native Texas landscaping, west planter box (exterior). 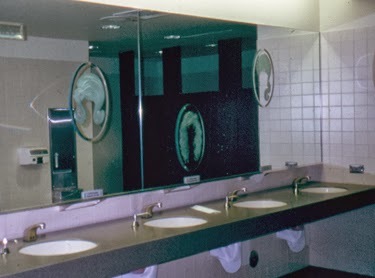 Reality * Texas * Mythology, Jill Bedgood – Etched mirrors, baggage claim restrooms and special needs restrooms on the concourse level. I feel the need to mention I was in the passenger seat here. Because you never know. High Water Mark, Deborah Mersky – Stainless steel panels with porcelain enamel insets, pedestrian railing, Cesar Chavez. 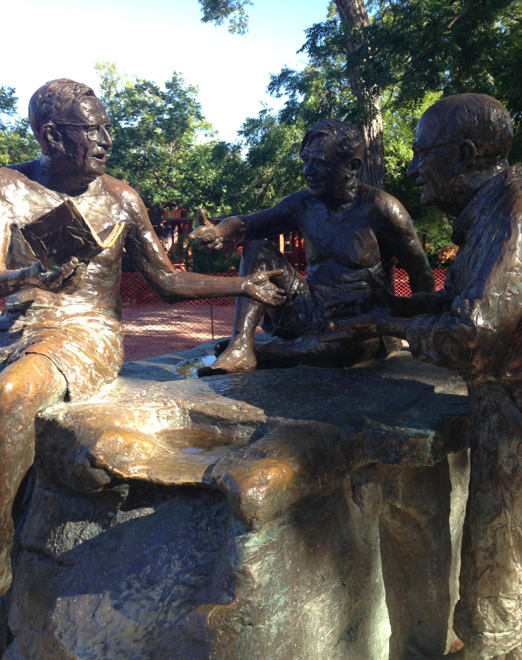 La Fuente en Calle Segundo, Roger Colombik – Bronze, aluminum, and water, 2nd and San Antonio Streets. 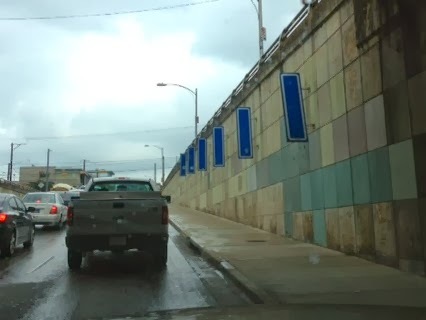 Moments, Carl Trominski – Paint, metal reflective signs, lights, Lamar Bridge Railroad Underpass. For Jeep with Love, ARCHAIC – Carved limestone, Palmer Events Center main entrance. This is only a sampling of the AIPP collection that is sprinkled all over town. If you want to find something specific, browse the AIPP collection online. And keep your eyes peeled the next time you’re out and about. You may just find a little unexpected work of art. For more information about the Art in Public Places program or to browse the collection, visit the City of Austin’s website.